Autumn is here along with beautiful fall foliage, football games, Halloween, bonfires, Thanksgiving and, family dishes that appear only once a year. For us right now it also means college applications. This has been a time of reminiscing, recalling all my son’s adventures, and in pulling out old photos. It really makes one feel the passage of time. Photos, I noticed, respond mainly to only one of our senses, but recipes and family dishes speak to our every sense and can transport us to a different time, bridging the gap of the past, and making us feel as if no time at all has passed. For me, sweet potatoes are one of those things that do that. 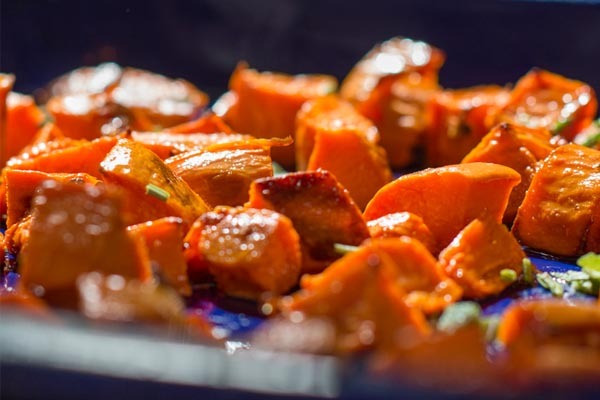 Growing up we always had sweet potatoes twice a year, at Thanksgiving and Christmas, and they were laced with brown sugar, pecans, and butter and were nothing more than our family’s favorites. In the last few years, they have become a super food full of vitamins and nutrients and something to be eaten all year long. I found out they are loaded with huge amounts of vitamin C and A, plus potassium, and a dollop of calcium too. In the interest of wanting to eat them more than twice a year, I created my sweet potato slammers that have become my new favorite. These have been savored and devoured this autumn by thousands of farmers market goers wherever I have served them. The trick is to bake the sweet potato whole until slightly softened. Then remove the skin immediately and cut into chunks. Bake them just before serving to crisp them up. I love to sprinkle them with fresh sage and rosemary from my fall garden, shave raw manchego over them, and drizzle with a little extra virgin olive oil and reduced balsamic vinegar. 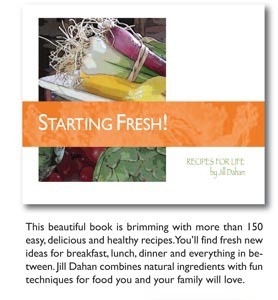 Try them out this autumn and winter and make these your new family favorites while enjoying better health and wellbeing. What a winning combo! 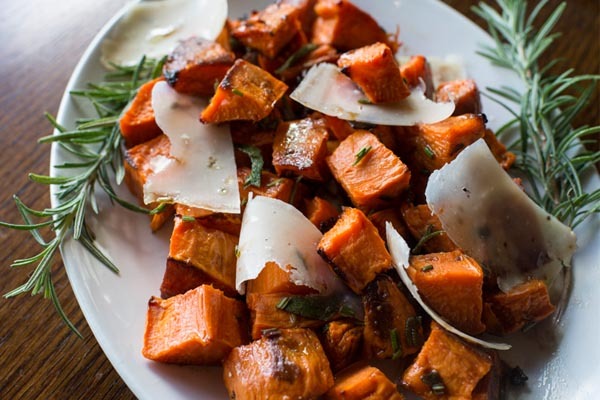 Place the sweet potatoes in the oven and bake at 375F (190C) for 30-40 minutes until just slightly softened. Remove and immediately take off the skins. Dice the potatoes into chunks. Wipe a roasting pan with the coconut oil and place the chunks in a single layer in the pan. Bake at 375F (190C) for another 30-40 minutes until lightly browned. Remove from the oven and toss in olive oil, sprinkle with herbs, and drizzle with reduced vinegar and top with the cheese. For the reduced vinegar: place vinegar in a pan so that it is no more than 1 inch deep and boil on high for about 4-5 minutes until thickened. This can be done in advance and drizzled on later.